Welcome to the MoonPie General Store and the Original Book Warehouse. We’ve been selling great books at low prices for over 25 years! Our inventory is growing everyday, and also includes many new releases and best sellers sold at their regular price. Some stop here for the seven flavors of moonpies. Did you know you can mix a variety box here? Some stop to enjoy a soda like RC or Nehi, the old fashioned candy, and other tasty treats. Some stop to visit our various little shops where you will find Moonpie merchandise, toys and puzzles (featuring Melissa and Doug), tin sign reproductions, quilt kits and supplies, canvas art-wood plaques-wall signs, Christian gifts and more. Throw in some greeting cards and a selection of bluegrass and southern gospel CD’s, along with closeout buys whenever we can find them, and you are starting to get an idea of who we are! 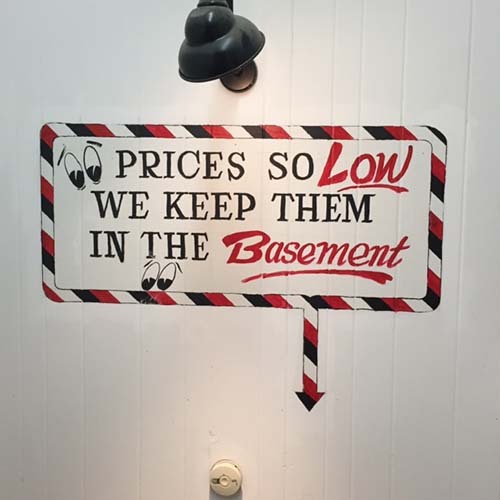 And if you give yourself enough time and feel like treasure hunting, there is no telling what you might find in our bargain basement! We want to remind you of a time and place where life was a little slower and maybe a bit more enjoyable, and to suggest that much of our product selection will bring back those memories…memories you might want to pass on to your kids and grandkids. Some enjoy visiting a place where the customer is appreciated and served. Where they can sit on a church pew and drink their Nehi, play a game of checkers, work on a puzzle, swap stories, read a book, meet new friends, or just relax. That’s what our place is all about. Family friendly Pigeon Forge and the Great Smoky Mountains has so much to offer. If you’re in the area, please stop by so that we can welcome you warmly and help make your time an enjoyable experience. Perhaps you’ll have your very first moonpie in our store! Around 1917, a traveling salesman for Chattanooga Bakery was visiting a company store that catered to the coal miners. He asked the workers what they might enjoy as a snack. They said they wanted something for their lunch pails that would be filling and taste good. When asked what size the snack should be, a miner held out his hands to frame the moon and said, “About that big!” With that idea in mind, the salesman headed back to the bakery, where he noticed some workers dipping big graham cookies into marshmallow. He thought this looked like a good tasting combination, so he added another cookie for a lid and covered it with chocolate. When he took a batch of samples for the workers to try, the response was so enormous, that the “Moon Pie” soon became a regular item for the Bakery. Since April, 2014, we’ve made some major changes in the store and our relationships with our customers. It is my pleasure to welcome you to the MoonPie General Store and the Original Book Warehouse! 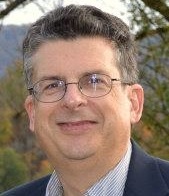 I have been in retail management most of my adult life, starting many years ago with Zondervan Family Bookstores in Kentucky and Ohio. I managed factory outlet stores in Pigeon Forge, was a Guest Services Manager with Target for about four years, and spent one year with Borders Bookstores, before coming to this locally owned Book Warehouse in 2004. For the next 10 years, I served as a district manager over as many as ten stores, before the book market changed and we began to close stores. In late 2013, the former owners of our MoonPie store…where I was now serving as Operations Manager, asked if my partner and I might want to buy the business. We said “yes!” (So did our wives!) And now you know the rest of the story! George began his journey with a love of books. He was introduced to retail more than 25 years ago. 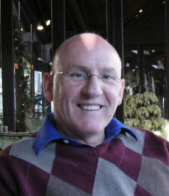 He feels each year is another new challenge to bring his customer’s the best in books at the best prices. George spends most of his time concentrating on the store’s book inventory. His biggest thrill is increasing his customers’ satisfaction with their book choices. George has worked his way up through the retail ranks from stock person, sales clerk to store manager, on to store owner. George’s strengths are in knowing his customers’ wants and needs and bringing the best products and prices to his customers. You can find your old favorites like Nehi Soda, RC Cola, and, of course, Moon Pies plus you will soon find some products that will be your “NEW” favorites in our store. Click HERE to take a Tour of Our Store. 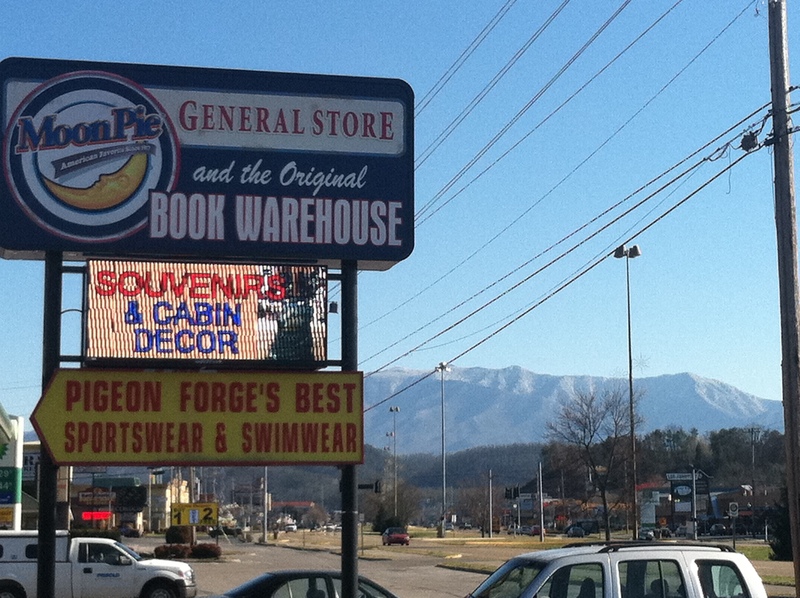 We are located in the heart of Pigeon Forge on the main street called Parkway. You can’t miss us. Click HERE for the map and directions. Our merchandise is packed into our 25,000 ft. store. Please check out the variety of departments for your shopping fun. Click HERE to see all the departments. We couldn’t possibly carry every bit of our merchandise on our website because our products move so quickly from the store; however, we have some great specials you can take advantage of and order online.